April is National Garden Month, and many of our partners are committed to supporting a healthier lifestyle through gardens and other community-based projects this month and year-round, with support of the support of the Walmart Foundation. For example, the New Hope House Shelter and Garden in Eagle Butte, South Dakota recently completed a PWNA canning class led by Inyan Eagle Elk and supported by Shelter Director Daniel Butcher and Therapeutic Garden Coordinator Austin Red Dog. In this class, participants learned to preserve the food that will be grown in the shelter’s garden later this summer. 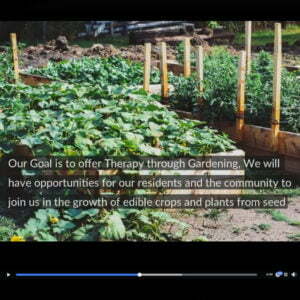 Daniel, Austin and crew stay motivated knowing that “the learning and sharing of ideas with the community about food and aspects for our bodies is healthy both mentally and physically.” Daniel recently posted this garden video on the shelter’s Facebook page. This entry was posted in Humanitarian and tagged Canning, Chef Inyan Eagle Elk, Food Access, gardening, National Garden Month, New Hope House Shelter & Garden. Bookmark the permalink. Trackbacks are closed, but you can post a comment.